Whether you own a practice that specializes in dentistry or a practice that specializes in plastic surgery, social media is such a vital tool to grow your business. 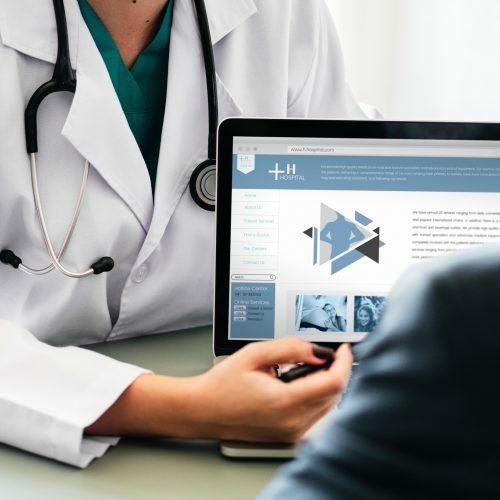 Though social media may not be a traditional means of advertisement for many medical practices or other traditional businesses, the platform can really help increase traffic to your business. Why not utilize platforms that can do nothing but help your business gain exposure? Share tips and tricks with your audiences on social media. This can be anything from giving followers tips to prevent cavities or sharing health facts that many people may not know. This shows your followers that you know what you’re talking about when it comes to your field. It also demonstrates how much you care for your followers and their health. It’s also important to keep a professional tone when captioning photos and stories. You don’t want your voice on social media to be too casual, or you may lose credibility. For example, a good Instagram post for a dentist could include daily routines and foods to avoid in order to prevent cavities! Show off your current clients on social platforms! Interview patients and ask them about their experience at your practice. This will show followers that your practice values its patients and can provide them with an enjoyable experience. You can also interview staff to give followers another more personal perspective on your business. For example, interviewing a patient after they have received a successful procedure or even interviewing someone that works in your practice about their experience working in the office. Let followers engage with you! Use the questions tool on Instagram stories to allow your followers to ask you questions about your business or even questions about their health concerns! This will allow your audiences to engage with you and will again showcase your expertise. Engage your followers and constantly keep posting! You’ll be hard to forget if you are showing up on their feeds daily. It also shows potential followers that you are committed to engaging with your audiences and gives them a good look into what your business is actually like. But you don’t want to post so much that your followers are bombarded by your posts on their feed. It is also important to stray away from graphic content that shows blood or unappealing images. This could potentially cause you to lose followers. No matter what industry you are in its important to have a good social media presence in order to give your business exposure! If you need a little more information on how to organize your social media, and even use social media trackers to get a better grip on how your social media is doing, we have an earlier blog post on that here.